The sentiments was stamped using Forest Green Distress Ink and the BP was sponged using Frayed Burlap Distress Ink. 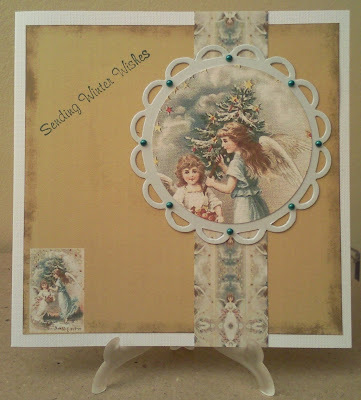 Love this Anne, the angels are just beautiful and the inks you've used compliment the layout and theme beautifully. Love the classic lo of this card Anne. A lovely vintage feel card. this is beautiful Anne! I love the vintage image, stunning!